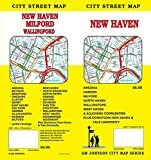 The durable and convenient Connecticut and Rhode Island EasyToFold state map will take all the wear and tear your journey can dish out. The heavy-duty laminated design allows you to mark your route, make notes, then wipe the surface clean for further use. This is a must-have for navigation whether you're a state resident or just passing through. 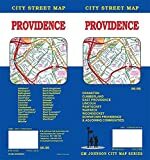 Rand McNally's Easy To Read State Folded Map is a must-have for anyone traveling in and around Connecticut and Rhode Island, offering unbeatable accuracy and reliability at a great price. Our trusted cartography shows all Interstate, U.S., state, and county highways, along with clearly indicated parks, points of interest, airports, county boundaries, and streets. - All 100+ standing and "lost" lighthouses in Massachusetts and Rhode Island located on a detailed shaded relief map. - History, description and viewing directions for each standing lighthouse. - Locations & directory of Maritime Museums. - Directory of lighthouse cruises & island ferries, including Block Island, Cape Cod, Martha's Vineyard & Nantucket. - Intriguing True Tales of lighthouses. - 30 original watercolor illustrations. - Printed on quality paper. Size: 24x36 inches, folded to 4x9 inches. For laminated poster edition, enter 9781888216561 in search box. 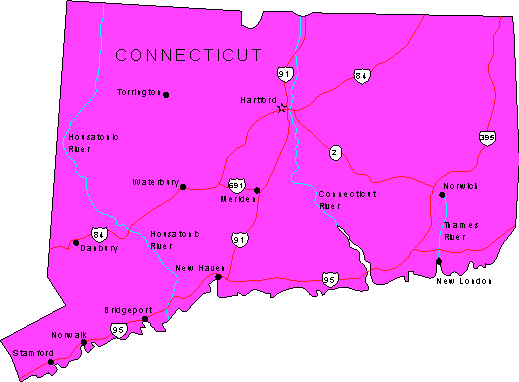 The Central and Eastern Connecticut Atlas is a full-color street atlas, including: Avon, Berlin, Bloomfield, Bristol, Colchester, Coventry, Cromwell, East Hampton, East Hartford, East Lyme, Ellington, Enfield, Farmington, Glastonbury, Granby, Grisworld, Groton, Hartford, Killingly, Ledyard, Manchester, Mansfield, Middletown, Montville, New Britian, New London, Newington, Norwich, Plainfield, Plainville, Rocky Hill, Simsbury, South Windsor, Southington, Stafford, Stonington, Suffield, Tolland, Vernon, Waterford, West Hartford, Wethersfield, Windham, Windsor & Windsor Locks. 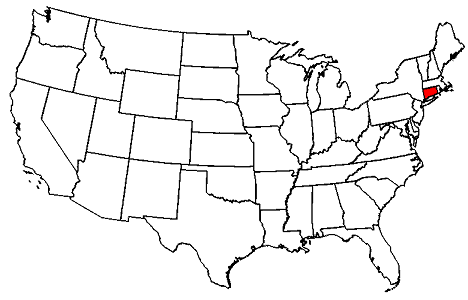 Rand McNally & Co ,U.S.
Rand McNally's folded map featuring New England is a must-have for anyone traveling in and around this part of the country, offering unbeatable accuracy and reliability at a great price. 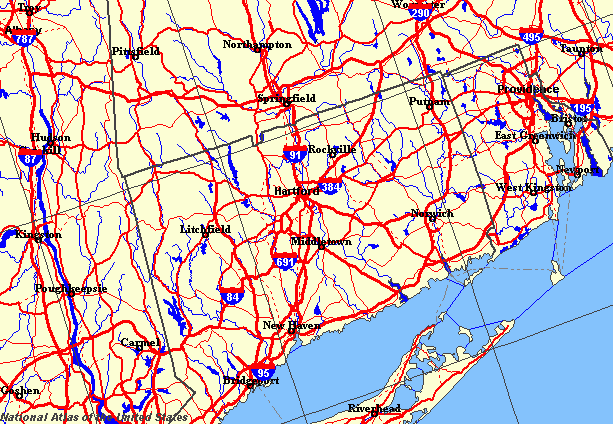 Our trusted cartography shows all Interstate, state, and county highways, along with clearly indicated points of interest, airports, county boundaries, and more. In 1793, a canal digger named William Smith made a startling discovery. He found that by tracing the placement of fossils, which he uncovered in his excavations, one could follow layers of rocks as they dipped and rose and fell—clear across England and, indeed, clear across the world—making it possible, for the first time ever, to draw a chart of the hidden underside of the earth. Smith spent twenty-two years piecing together the fragments of this unseen universe to create an epochal and remarkably beautiful hand-painted map. But instead of receiving accolades and honors, he ended up in debtors' prison, the victim of plagiarism, and virtually homeless for ten years more. The Map That Changed the World is a very human tale of endurance and achievement, of one man's dedication in the face of ruin. With a keen eye and thoughtful detail, Simon Winchester unfolds the poignant sacrifice behind this world-changing discovery.